I recently received another contribution to the recycle bin at our business – the latest printed version of the Yellow Pages. I did a quick poll of the other businesses that are housed in our office building to ask who had opened a Yellow Pages book – or a paper phone book for that matter – in the past year. You will not be surprised that no one had used a phone book other than as a booster stool or a door prop for years. If no one is using it, why is it still being produced? The answer is because people keep advertising in it. Why would people advertise in an ineffective marketing medium? The answer may be because they have always advertised in the Yellow Pages. But more than likely, it is because their rep showed them some figures on key words and activity on yellowpages.com, the search engine that is packaged with those printed ads in the book to entice businesses to keep advertising. The devil is in the details – like the ones they are not sharing with you. How do they really compare to other search engines – like the King Kong of all search engines – Google? What they tell you may be different than what your own web statistics are telling you. For instance, I did a quick check of the analytics of our clients. I looked at the referring sites statistics and found that searches for those web sites using Google outnumber searches using yellowpages.com about 10 to 1. Before you bite on the Yellow Pages – or any of the other look alike phone books that are still being produced – check your own web statistics. But let’s not just pick on the phone book and their search engines. There are a host of SEO strategies and companies waiting to take your money to drive more leads your way. When is a pay-per-click worth it and when can you get more bang for your buck by using an organic search method of marketing your web site? Organic strategies rely on search engines to find your site based on the content of your site without paying for clicks, ads or any other referral fees. Again, I would encourage you to take a look at your web stats. Analytics software is typically free to use. Google has their version, as do most of the major search engines. Many times your ISP will have some sort of analytics software for you as well. This simply keeps track of the number of visitors to your site, what pages they looked at, how long they were on the site, etc. The key statistic you need to find is the referring sites. This will tell you how people are finding you: by a search engine, from another web site, or without a referring site (in other words, they just enter your url or have you bookmarked from a previous visit.) If you have a relatively high number of visits from referring search engines, you may be happy with the amount of traffic that is generated organically. 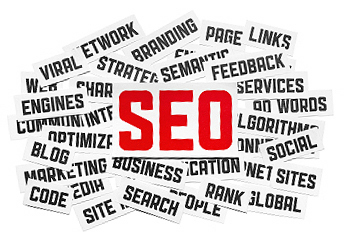 However, if your search engine traffic is not what you would like, you may want to pay for certain key word and phrase searches. In this case, I would encourage you to take a look at the search engines that are showing up the highest in your stats. Don’t be suckered into using paying for a search engine that is just a fraction of your current web traffic. It is relatively easy to find out how effective search engine marketing strategies are performing for your business. What do the statistics tell you? If the number of visits to your web site is up from your search engine marketing, are you getting more leads? If you are getting more leads, are you converting leads to sales? Marketing is a bottom line proposition. In the end, all effective marketing leads your business to sales. Here is a crucial part of any search engine marketing effort. Watch your statistics, but don’t get stuck in the numbers. You have to make a correlation to your sales to know for sure you are being effective. You can have a million visits from people who live on a small island in the middle of the Adriatic Sea who will never buy from you. What good are your efforts if you don’t drive sales? Make sure those SEO reps are making that connection for you before you sign the contract.